Students from Olivet Institute of Technology are able to enroll in Software Engineering course in New Structure this new term. This course focuses on using Ruby on Rails for fundamental programming techniques as well as applying cloud computing to create SaaS (Software as a Service). The new trend in programming can allow increased productivity and optimized coding in developing beginner level SaaS apps. The technique is agile and the software created is deployed online as hosted services. "Students looking to apply the technique in ministry can find it useful for startups or cooperating with organizations looking to advance their IT architecture, reduce cost, and risk," said course instructor Dr. David Prasad. "More importantly, students will be able to learn new modern tools that can help open doors to more opportunities." SaaS applications can be deployed and delivered to its users online thanks to its data centralization and IT architecture. 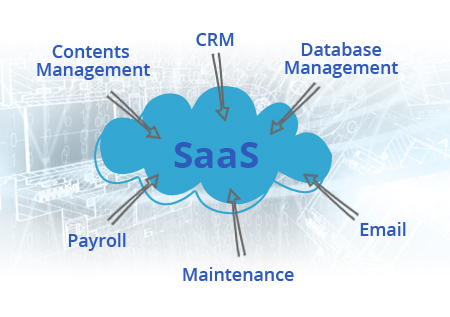 The field is considering SaaS as a proactive and risk reducing solution across businesses and non-profit organizations.